Easton Hospital needed to wrap custom elevator doors. We made the trip to their location to do an "onsite installation" for this particular job. 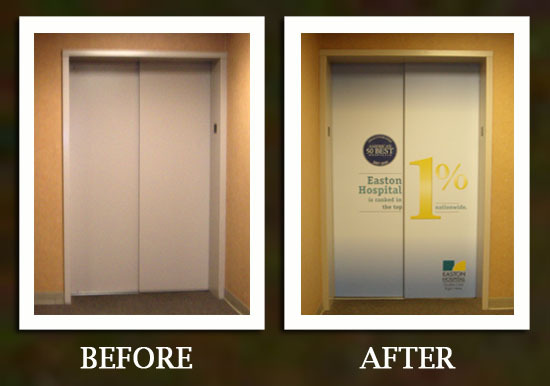 Here are some before and after photos of several of the elevator doors we wrapped.